Measurement procedure for nearfield Dirac? TOPIC: Measurement procedure for nearfield Dirac? c) the speakers are floating on 7" tall brackets, and the total height from desktop to tip of the tweeter phase plug* is ~18". The monitor is on the same plane as the inside-back corners of the speakers, to minimize diffraction off the monitor. Specifically, what should the distance between measurements be, how many should be taken, and should the desktop be covered with damping material during the measurements? Last Edit: 4 years 7 months ago by DS21. Interesting question. I'd be inclined to try the "chair" situation with the width about the distance between the speakers. I don't think you would put damping material on the desk while measuring, otherwise Dirac Live will be correcting for something different than what you use when listening - ? PS. I don't think it's even necessary that the mic locations be regular, you could "randomize" them some with possible benefit here. I'm guessing. Anyway I'm keen to see how you do with it. Nice setup! As already suggested by John (someone who's already been tinkering a lot with Dirac.. , the chair position would be best. I believe that it's 8 measurements, but even though you're chair, you should look at it as a wider area. Don't concentrate it to a narrow radius as it may actually turn out to be too limited. As for the damping material, best not to add something that won't be here in the real listening scenario. I'm in a similar situation in a studio conrol room. The main problem in such a set up are the comb filtering artefacts introduced by the desk between you and the speakers. These are massive and there's not much you can do about it, no matter how well treated your room is. I've actually had the best results with a single point measurement (i.e. just continue after the first measurement). Here's why I think this is: The proposed measurement points by Dirac include different heights (bottom and top of the chair or sofa) and at different heights you will get completely different frequency responses because of the different angles relative to the desk. And when Dirac is presented with completely different responses it can't do much averageing. But since you won't be listening at the bottom of your chair anyway, this mic position is irrelevant. However, when measured center and left and right, but everytime at ear level, the comb filtering is similar to all positions and Dirac can effectively do something about it. What I have yet to try is to do several measurements all at ear level around the listening area, maybe that would yield good results. But using the sugggested mic positions didn't get me any satisfactory results. 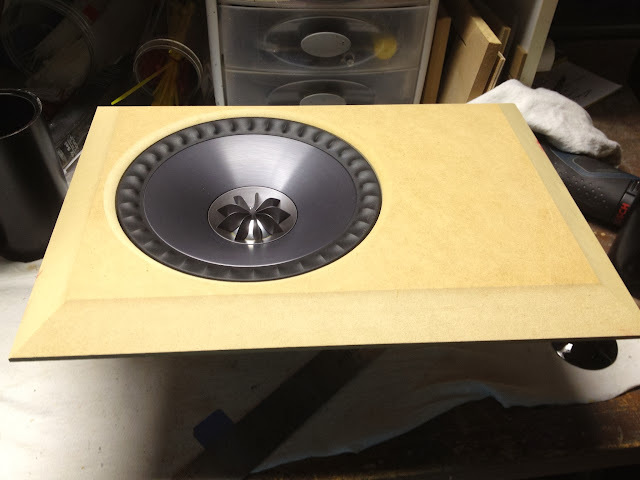 The one-point-measurement led to much better frequency response correction. This is a 'special' situation because of the desk and its comb filtering and not comparable to a standard hifi-setup. Just experiment with different mic positions and amount of measurements until you get a good result. I'd be curious to hear what works best for you! Very interesting feedback and I'm sure that combined with DS21's experience, we can all learn. To be very honest, we're not working in that configuration and with each setup being different, we've got all to learn of what works best for each of these configurations. Exciting to see all this feedback so please keep it coming.